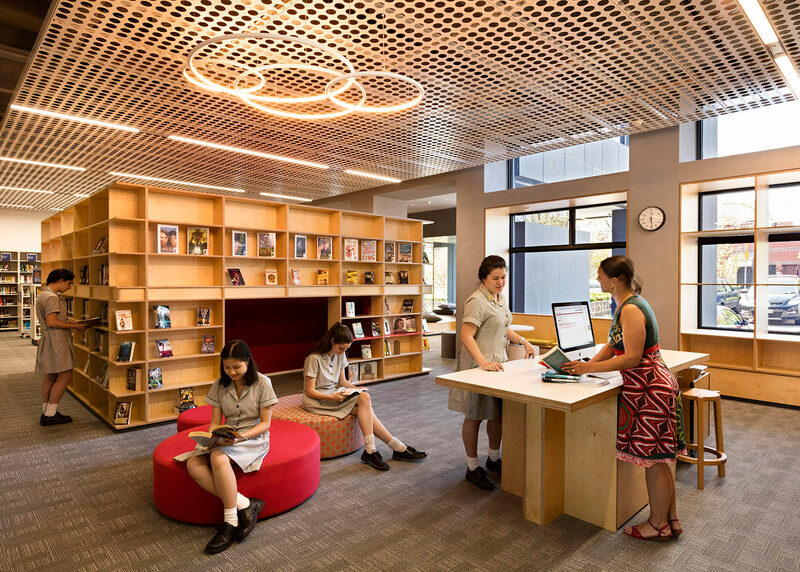 Gone is the traditional silent library, replaced with the active buzz of students engaging in collaborative and independent learning. 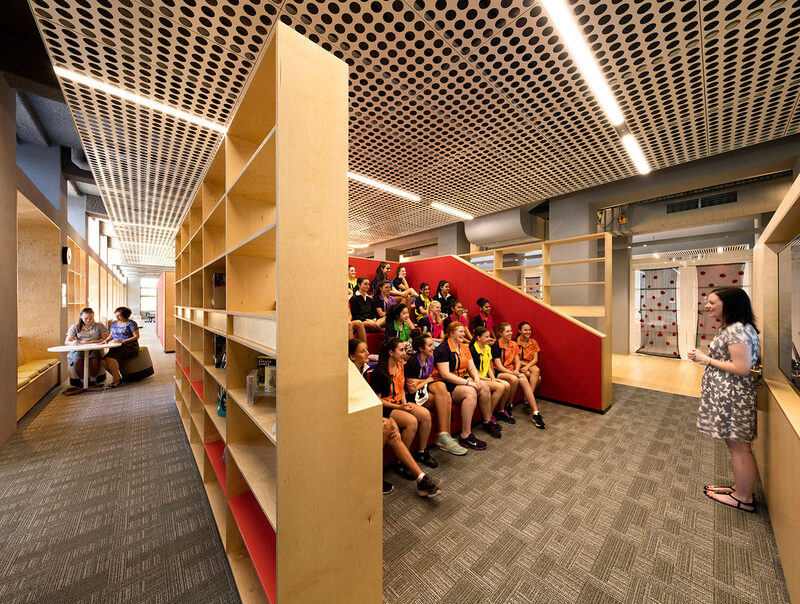 The result is an innovative design owned by all, and which firmly establishes the Sophia Library as the epitome of the school’s student-centric thinking. No longer only treasure houses for books and places of studious austerity, libraries are now energetic centres of social exchange and 21st century participatory learning. 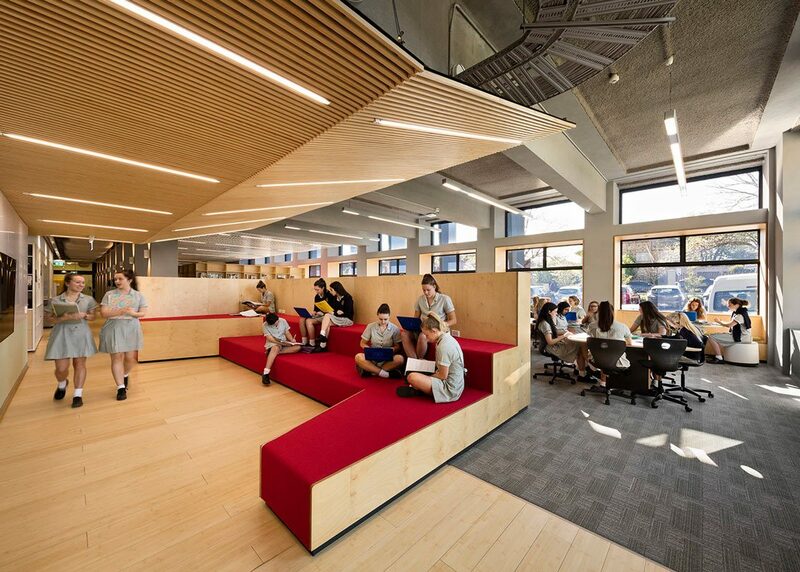 The design of the library drew on our previous work with the school which established a new standard of multi-modal settings based on collaborative student practices. 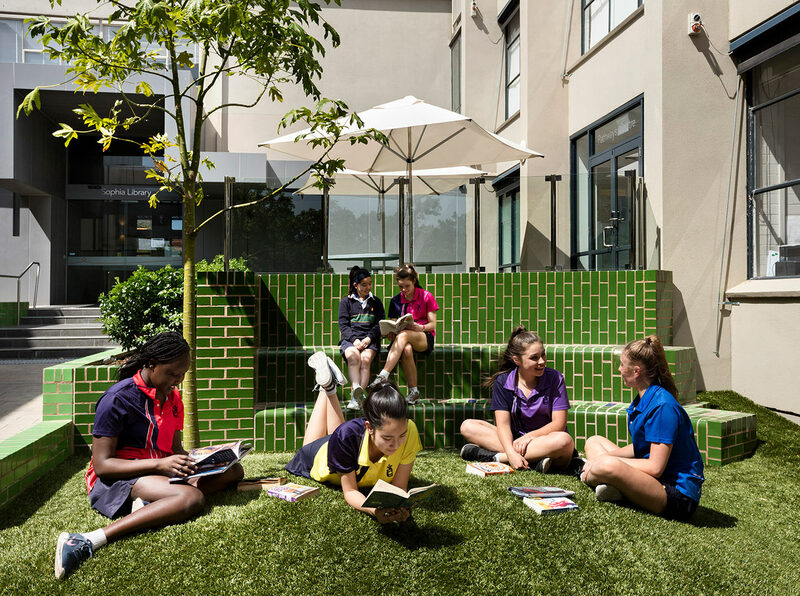 The pedagogical approach to those teaching spaces is translated seamlessly into the library and adjacent exterior. 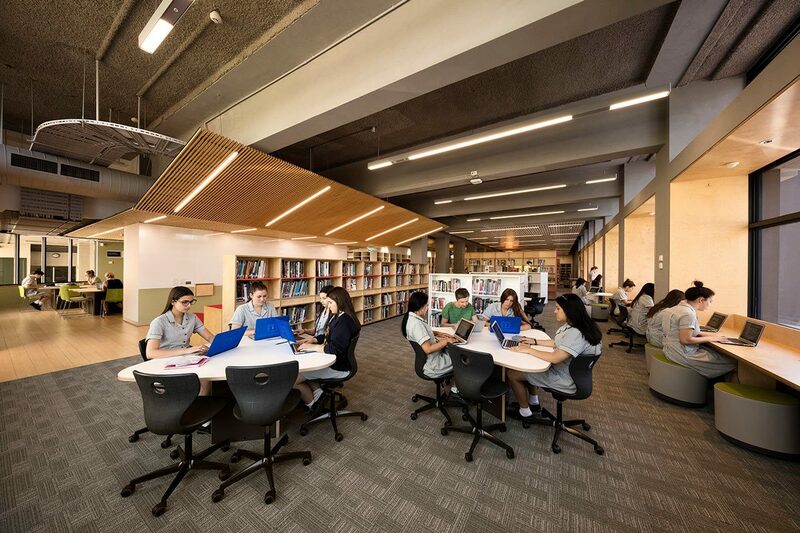 The Sophia Library is now a series of interconnected learning zones which cater for different learning needs and activities. Information literacy was a key driver in the refurbishment, creating new and accessible spaces for the development of student skills in locating, selecting, organising and presenting information.